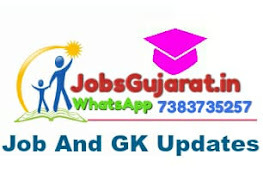 Gujarat Alkalies and Chemicals Limited(GACL) New Jobs Official Notification published for the Post of Officer (Marketing / Security) & Addl. General Manager / Dy. General Manager (IT) Recruitment 2018. GACL Invite Online Application for B.E. / B.Tech., B.Sc. Degree Holder candidates can apply for this recruitment at below mentioned link and check official jobs notification (information) at below mentioned details. The advertised position is for recruitment on contractual basis for 03 years, extendable on satisfactory performance for another 05 years, which may be extended for longer duration on completion of each contract awarded. Candidates should have full time qualification at graduate and post graduate level in the respective discipline. Candidates with education from reputed engineering universities, management schools like TISS, IIMs, IITs, XLRI etc will be given preference. Canvassing in any manner may disqualify the applicant. Merely fulfilling the educational qualification / experience does not necessarily entitle applicants to be called for personal interview. Person with higher or additional qualification may also apply for the said position. Relaxation in age or post qualification experience may be given to deserving candidates. The company reserves its right to transfer employees any where in India for all positions. Jobs Description: GACL invited Officer (Marketing / Security) & Addl. General Manager / Dy. General Manager (IT) posts on contract bases. General Manager / Dy. General Manager (IT):B.E / B.Tech (Computer Engg. / IT / Computer Science) (Full Time) / MCA (03 years regular course).Proven Experience in implementation of SAP is mandatory. Officer (Security):Sc. (Full Time) and Post Graduate Diploma in Industrial Safety from Government recognized institute / college. Preference will be given to Candidates having extra qualification in PG diploma and / or certificate in Disaster Management.